If you want to escape the washed-out color of low- and mid-range LED TVs without breaking the bank, Vizio’s SmartCast P-Series displays are the way to do it. 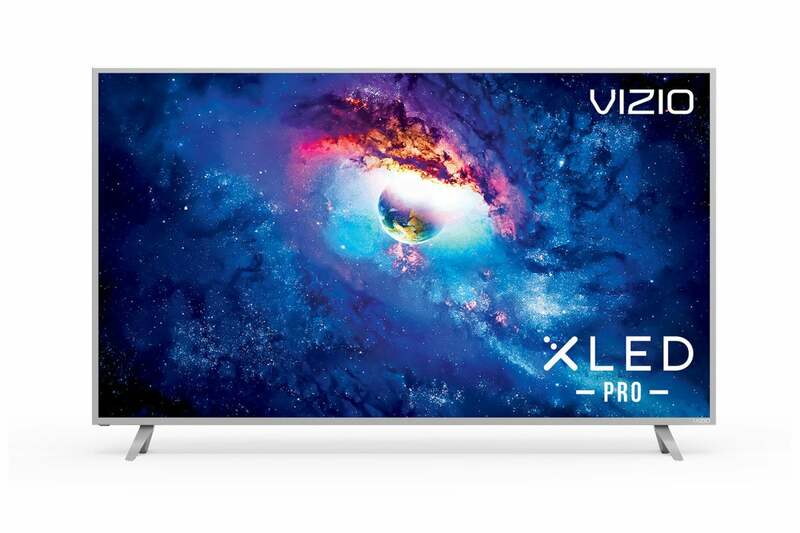 That said, Vizio claims of “picture perfection” are overstated—the P-Series are not without flaws; at least not the $1700 65-inch version we tested. Regardless, the color and HDR are impressive. The P65-E1 we tested sports a relatively thin silver bezel, is about 2.5-inches deep, and weighs in at approximately 63 pounds including stands. We aren’t sticklers about looks, at least once the game or movie starts, but the silver bezel is more noticeable than darker-colored bezels that tend to blend in with the display panel itself. A complete and utter preference call. The P65-E1 accepts a VESA-standard 400mm square mount for wall hanging. The panel itself measures 64.53-inch diagonally (65-inch class) with a resolution of 3840 by 2160 pixels. It supports 10-bit color and features 128 lighting zones and a 240Hz “effective” refresh rate, meaning an actual hardware refresh rate of 120Hz. Note that the SmartCast P-Series is a display. TVs have tuners, the P-Series does not. 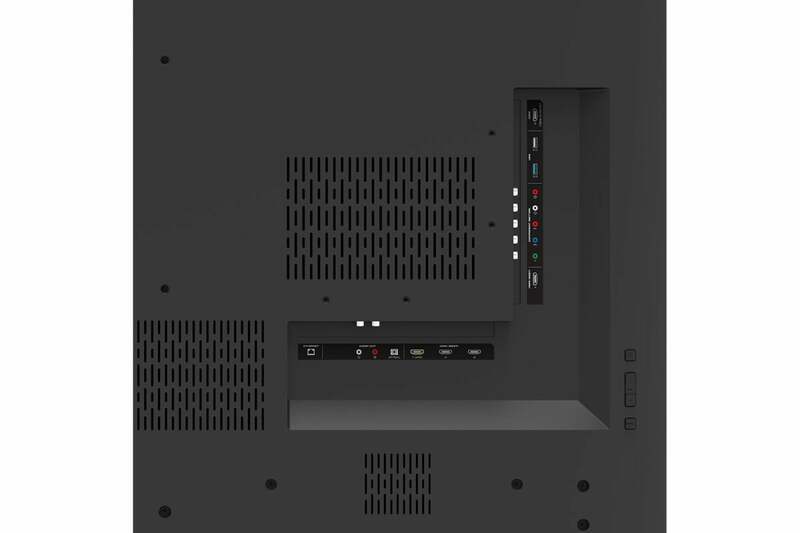 If you’re thinking of cutting the cable, you’ll need an outboard device to pull in over-the-air television broadcasts or stream from a service. The P65-E1 has a whopping five HDMI ports, four of which support HDMI 2.0a (you need the “a” for HDR signals) with the last one stuck back at 1.4a. All support HDCP 2.2 and one supports ARC (audio return channel) for soundbars and the like. There are also analog and digital audio outputs if your outboard audio gear isn’t that modern. There are plenty of inputs on the P65-E1. Note that the green component output also serves as a composite output. Also on board are two USB ports, an ethernet port, component inputs (the green doubles as composite), and 802.11ac Wi-Fi. The first version of the P-Series relied on an Android tablet for remote control. If you’re phone or tablet-centric, you might think that’s a wonderful idea. The communications lag, however, left many users desiring a dedicated remote; aka, the right tool for the job. Vizio listened to the complaints and the latest version of the P-Series ships with a very nice dedicated remote. Perhaps not quite as slick as Samsung’s latest efforts, but darn close, and easy to learn. Perhaps not as slick as the new Samsung remotes, this one is easy and a welcome addition. 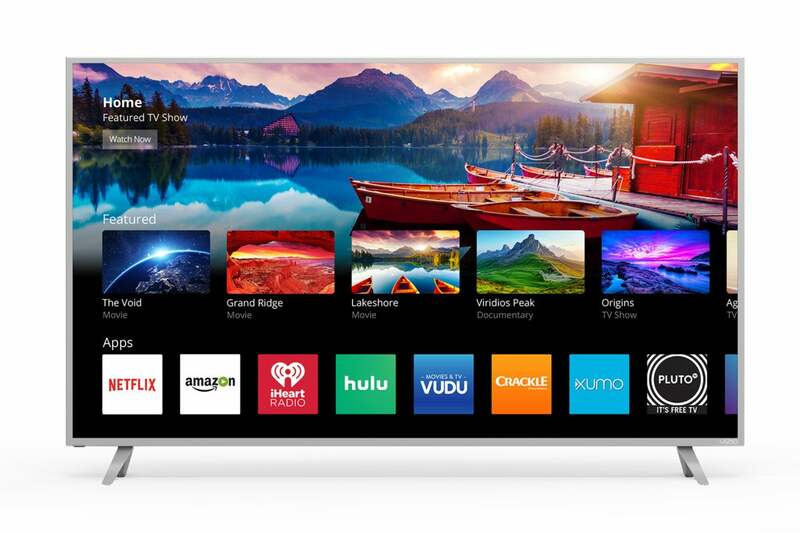 You may still control the TV using Vizio’s SmartCast iOS and Android app. 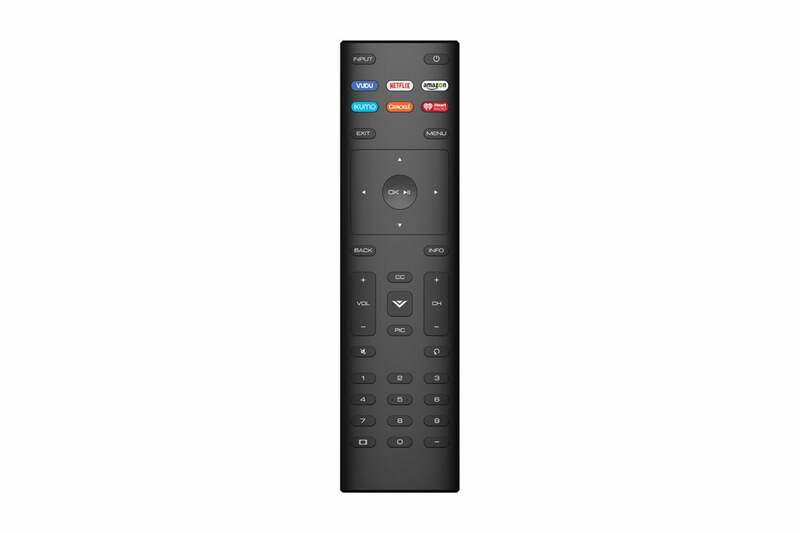 Our only real complaint about the dedicated remote is that we’d like the Back button located where the Exit button is—to the upper left of the four-way navigation button. We spent more time backing out of menus than exiting altogether, and the size of the four-button rocker switch makes reaching the back button a bit of a stretch. You can still control the P-Series using the SmartCast app that Vizio provides for your Android phone, if that’s your preferred methodology. The latest products in the Vizio ecosystem, including the P-Series, also support Chromecast natively, and both the displays and TVs can control other Chromecast devices around your home. SmartCast can also be used to stream content from your device to the TV. The main onscreen interface, on the other hand, lags a bit behind the competition; most likely due to the lack of development while LeEco was in control of the Vizio’s fortunes. There’s no onscreen hint that something’s sending a signal to a particular HDMI port (or other inputs), let alone a nice preview of the signal as you get with Roku-based TVs. We’ll complain about the somewhat primitive USB media app in the performance section—right after we rave about the color again. The tweaking/settings interface that pops up from the left side of the screen is great. As for said tweaks, there are a host of them, and unlike with some TVs, they actually do some good. That’s a bit of a back-handed compliment as it means we weren’t we weren’t entirely happy with all of the settings right out of the box. The color was fine, but motion compensation definitely needed boosting, and the image presets such as computer and cinema weren’t set to our taste. For the price, or even quite a bit more, there’s really nothing that can touch the color of the P-Series. Including Sony in our book, though we’re willing to include that company in the discussion depending on size and price point. The P-Series' color is more accurate than most of the competition, but most importantly—it’s saturated and rich. People’s moods and perspective are influenced by color and one might wonder how much blue-skewed LED backlighting has affected the populous at large. 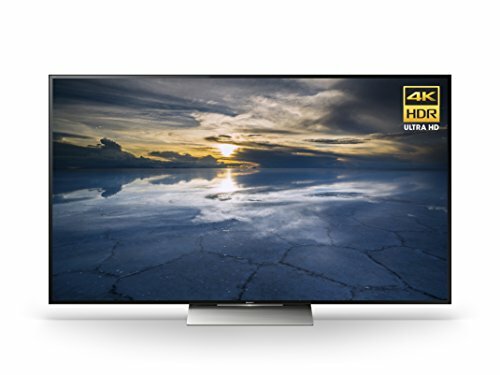 Many less-expensive TVs labeled as HDR make the bright areas, which largely create the effect, appear brighter (lightsabers, lightning, fire, etc.) not by actually brightening those areas, but by darkening the overall palette, sometimes drastically. The result can be an image that’s far darker than originally intended--or comfortable to view, for that matter. The P-Series keeps the overall palette acceptably light, while still making sure the HDR highlights pop. How they do this we can only guess, but it’s not being done purely with nits. We measured about 620 of Vizio’s claimed 650, which is still quite a few less than the Sony X930D we reviewed, and any of the similarly priced Sony E-series. And that was only with the brightness set well beyond the level where LCD bleed was acceptable. 515 nits was the number with the set adjusted properly. Regardless, we prefer the Vizio’s color and HDR over anything we’ve seen short of Samsung’s QLED. 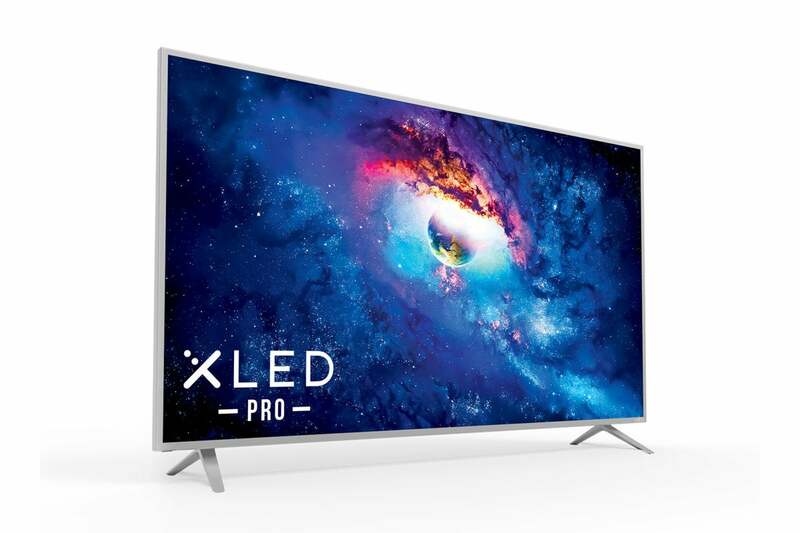 The P-Series offer great color and HDR for the price, but it suffers quite a bit worse moire and shimmer than the similarly priced competition. Screen uniformity on the P65-E1 was more than acceptable, and we didn’t see any huge issues with the 128-zone backlighting. Indeed, the bright Vizio logo on a black background that appears when you power-on the unit exhibited relatively little bleed. Less than with some of Samsung’s better TVs. The audio emanating from the P65-E1 is of decent volume and you could perceive some stereo separation. It lacks meaningful bass—not an uncommon phenomenon in thin displays, but it doesn’t sound tinny by any means. For the out-of-the-box experience and light duty, the audio will do, but you’ll probably want to augment it at some point. As nice as its color and HDR are, the P65-E1 isn’t ace at everything. Out of the box, with the judder control zeroed, motion was very jerky. Cranking compensation up to 5 solved that; however, there was no obvious cure for the weak job the P65-E1 does with fine to medium fine lines of any orientation. This weakness translated into annoying artifacts when the fine borders of large text moved or resized and was apparent in other situations where dark meets bright and then scrolls. That includes noticeable moire and shimmer when detailed dark areas panned or moved even slightly. There is a Dark Detail control, but it’s set to off by default and no setting we tried would ameliorate the issue. We’re guessing this is a side effect of whatever “magic” is applied for the HDR. The good news is that most video doesn’t feature content that exhibits those flaws. We’re being picky, but some areas (not shown) of the P-Series interface seem a bit dated compared to the Roku and Samsung GUIs we’ve been experiencing recently. Images arriving via HDMI were of the quality described above, but the slow USB multimedia-playback app proved problematic. Admittedly, as Vizio states, not a lot of users play files off USB media, but we do, and as the feature exists, we'll evaluate it. It took a couple of minutes for the app to enumerate a mere 30 or so files, and scrolling the list was annoyingly slow. There was a few seconds of stuttering in many videos as they started to play, and several high-bit-rare 60fps, 2160p files wouldn’t play smoothly at all. Of course, any decent Ultra HD Blu-ray player with a USB port will fix this issue if you like to download stuff to your computer and then play it on TV. More than that, the slow USB video made us look more closely at the speed of the interface overall. The settings menu was snappy enough, but we get the feeling from the video playback, main interface, and drop-down info display that the CPU in the P65-E1 is running at the very edge of its capabilities—and occasionally beyond. Okay, we’ve griped a bit about rough edges. The 65-inch SmartCast P-Series’ color and HDR rendering tend to make those a “so what?” kind of deal. Indeed, if the moire, panning, and fine-line issues didn’t exist, the P65-E1 could compete quite well with the QLEDs and OLEDs of the world. The kicker is that there’s a 55-inch SmartCast P-Series available for only $1,000. We haven’t seen it for a couple of years, but from prior experience, and assuming equal performance from the same technology (the specs are almost identical), it’s probably the best bang for the buck on the market today. There’s simply nothing else close to it in price that delivers an image as colorful or striking. Just make sure you can live with those “so what?” foibles. The color and HDR delivered by Vizio's SmartCast P65-E1 are so outstanding for the price, that its shortcomings (of which there are several) seem minor in comparison.